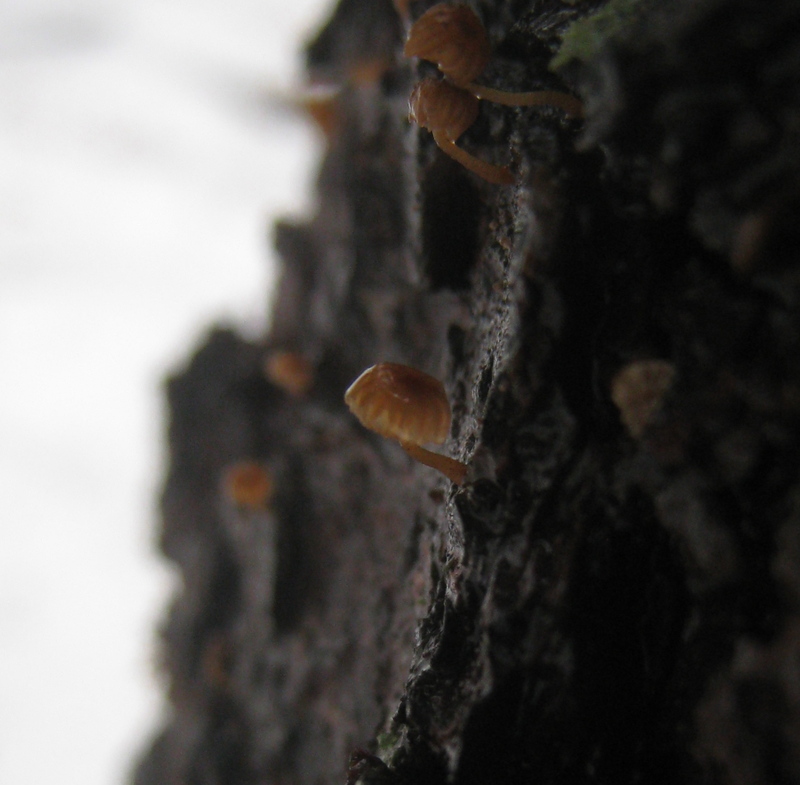 It's not too often that one finds mushrooms growing in January, and I'm not sure why I noticed these because they are incredibly small. We've had some unusual warm, rainy weather which I imagine is what allowed this fungi to fruit in January. I think they are Bark Mycenas, Mycena corticiola. They growing on mature White Pines. M. corticola doesn't have a preference White Pines, but rather mature trees with a well developed bark layer. 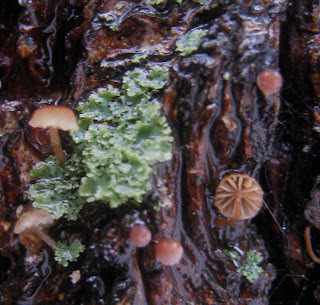 Like some species of Marasmius, M. corticola will dry up and seemingly disappear, but revive when exposed to moisture. I suppose this feature is what allowed these mushrooms to appear so quickly in January. The weather has already turned more seasonable cold, it'll be interesting to revisit the same trees in a few days to see what has happened to these mushrooms.